Sewer repair in NJ is more common than you would think. In NJ sewer pipes are underground in and around your home. One would think that being underground not much could happen to them but over time, sewer pipes wear down, become corroded, crack or burst, move out of place or suffer other damage from the environment. 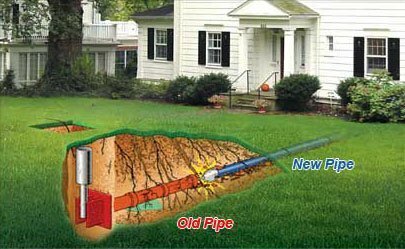 Common sewer problems requiring sewer repair services in NJ are soil shifting causing a sewer belly or tree roots looking for water growing into the sewer pipe and cracking it. 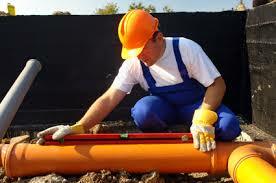 New jersey sewer pipe repair company is needed for sewer repair, it is a big job that you should always have performed by a reliable NJ sewer repair company that has a lot of experience with these types of sewer jobs. There are many different option for performing sewer repair and very often you can save yourself a lot of money and a lot of hassle just by consulting a professional sewer repair company in NJ rather than an ordinary NJ plumbing company. For years sewer pipe repair and replacement involved excavation, which basically means digging trenches in your yard, driveway, and sometimes your neighbors property tpo reach the broken sewer pipe. You can imagine what a hassle this can be for a home or business owner in New Jersey, not to mention the additional cost of repairing all the dug up landscaping or pavement once the sewer is repaired. So once your done paying the sewer repair company, you have to bring out landscapers and contractors to fix your overturned yard and/or repave the driveway. Our sewer repair technicians have completed many jobs this way over the years and sometimes we still have to repair the sewer pipe that way. 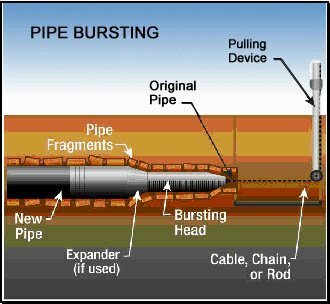 However, modern technology has allowed to avoid excavation sometimes by diagnosing first with camera sewer inspection and repairing broken sewer pipes using trenchless sewer repair. 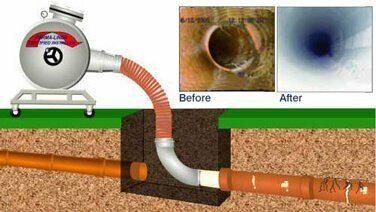 Trenchless sewer line repair in NJ is the newest technology in sewer repair. Before performing any repairs to your sewer pipe, an experienced professional NJ sewer repair company will perform a sewer camera inspection of your sewer pipes. In NJ sewer line camera inspection involves taking a small camera and running all through your sewer line so we can see exactly what and where the problem is. This allows us to see exactly which area of the sewer pipe is broken and how. So even if we do need to excavate to get to it we know exactly where to dig and can only dig up that portion without having to dig up the entire line to find the issue. But usually we don’t have to dig at all, the trenchless sewer repair technology allows us to use the existing opening into the sewer line to run a plastic sleeve through, which covers and coats the broken pipe creating a new sewer pipe within the old broken sewer pipe filling all the cracks and breaks and providing a like new sewer pipe that will last another 50 years. Trenchless sewer repairs save our clients time and money, they can be performed much more quickly and easily than traditional repairs and avoid additional time and expenses from excavation. 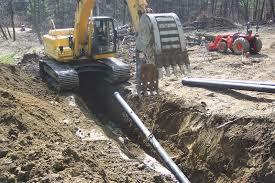 We take pride in providing the most thorough and affordable sewer repair solutions in New Jersey. If you are having trouble with your sewer lines in your NJ home or business call us today at 201-645-0888 for a free quote on NJ sewer repair.